There’s a new member of the family… cork! 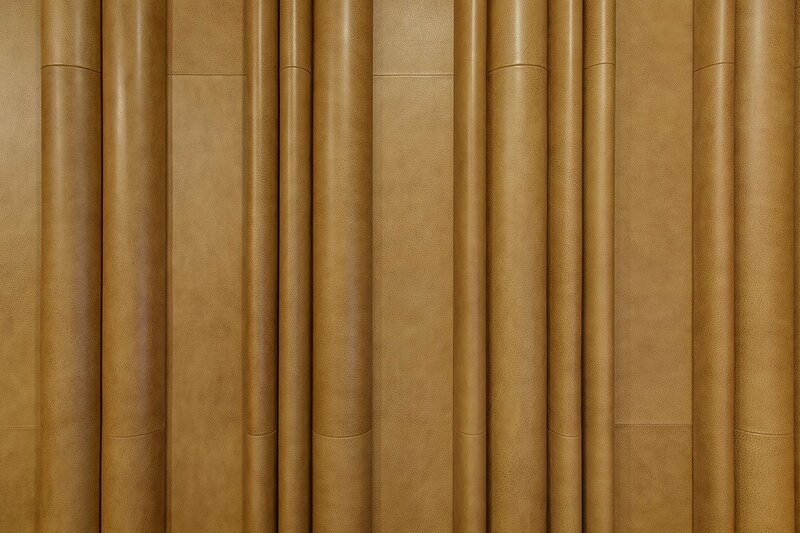 After five decades of being the go-to for full-grain leather, Spinneybeck previewed a new natural material in the new Beller Collection. Plus, the recently-introduced ARO Collection available in 36 quality and 945 colorways of full grain leather features the beauty of Spinneybeck’s Hand Tipped on ARO Plank 1. 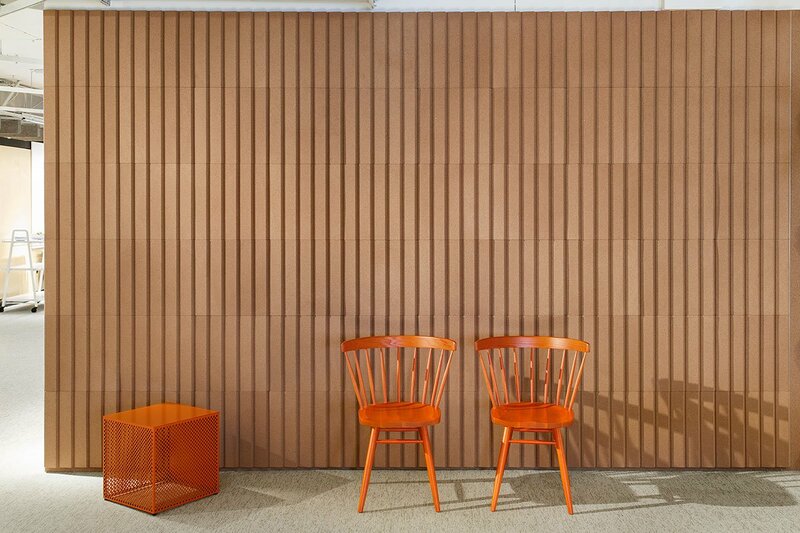 The Beller Collection introduces cork into the Spinneybeck line of architectural products. Inspired by techniques used in traditional shoe sole molding, Norwegian designer Lars Beller Fjetland conceived of the Beller Collection. Lisboa and Porto tiles are acoustically absorptive composite cork wall tiles composed of 1’-4” square modules that install easily with a unique pressure fit rail system. 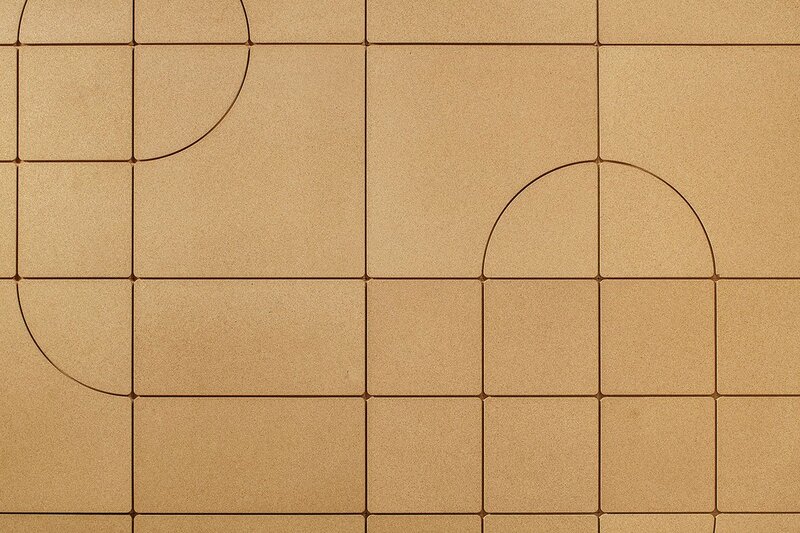 The design of the Lisboa tiles references Brazilian architect Oscar Niemeier’s ceramic tiles where five standard tile designs can be combined and rotated to create endless, unique patterns. Three standard profiles of the Porto tiles are inspired by familiar textures found in factory building surfaces—rounded silos, corrugated metal siding and saw-tooth rooftops. 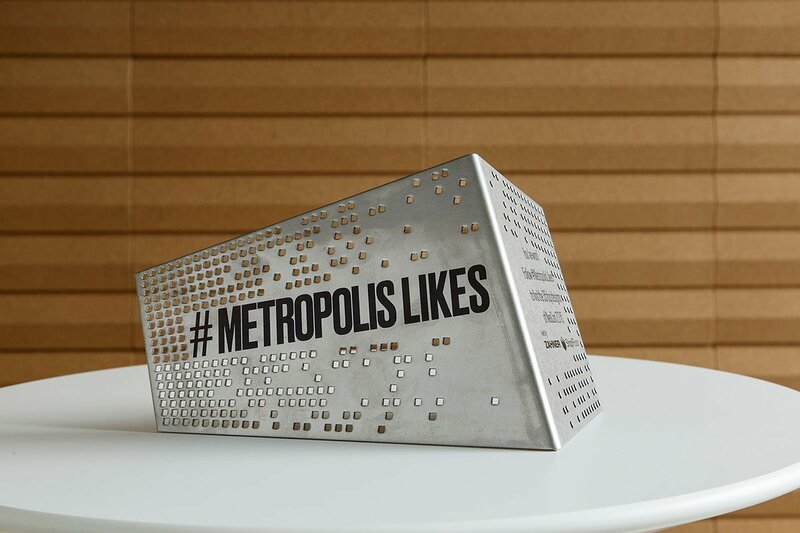 The heat-molded composite cork tiles provide graphic patterning across wall surfaces while simultaneously assisting with acoustic absorption and won a #MetropolisLikes award at this year’s show. 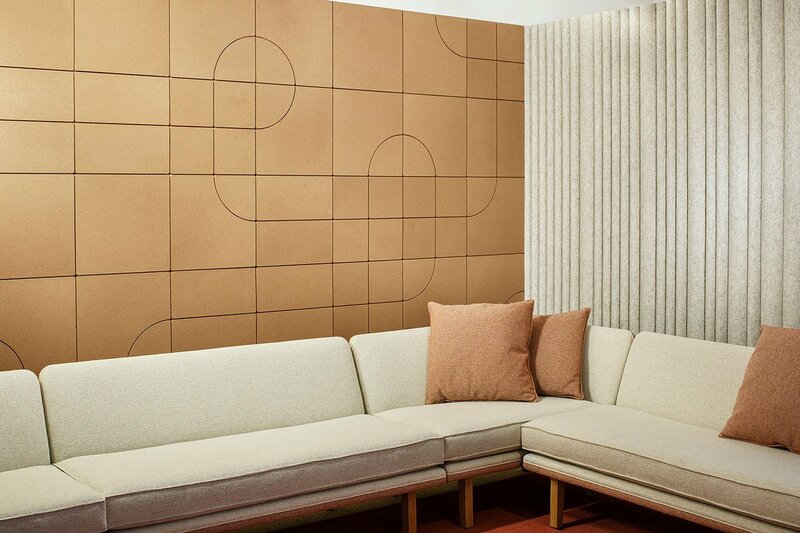 The collection was previewed at NeoCon and will be available in September. Lars Beller Fjetland grew up on the west coast of Norway, where he has nurtured a lifelong fascination for the marriage of function with nature’s materials in furniture, interiors, and lighting. He established his design office, Beller, in 2011 while studying at Bergen Academy of Art and Design. The core philosophy is to design products that achieve a sense of both timelessness and longevity through an immediate, honest functionalism in form and aesthetic. 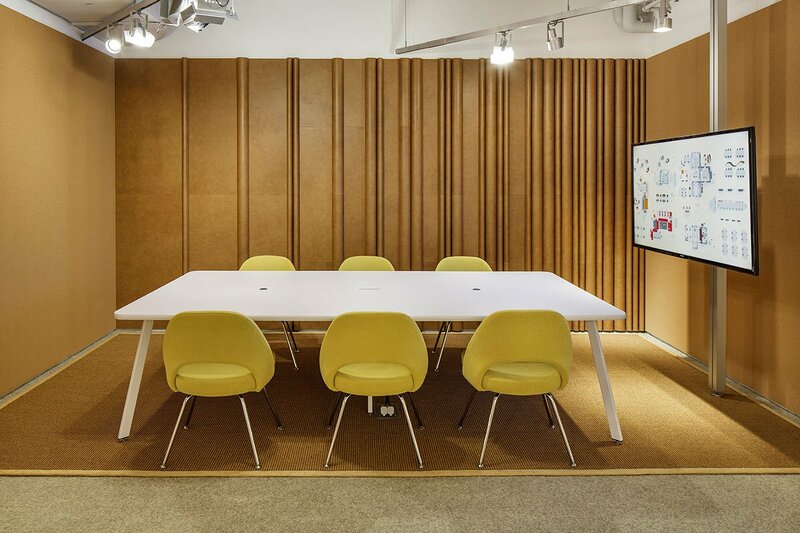 Newly-launched ARO Plank combines the natural beauty of Spinneybeck full grain leather with repetition and pattern to create modular architectural finishes that are elegant and easy to install. 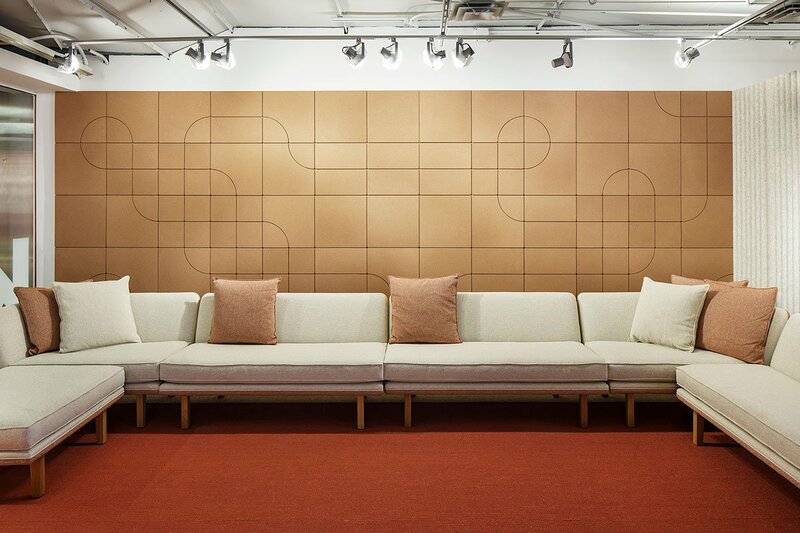 Composed of full grain leather vacuum formed to extruded foam or PET substrate, ARO Plank enables variation across large areas by combining standard modules. 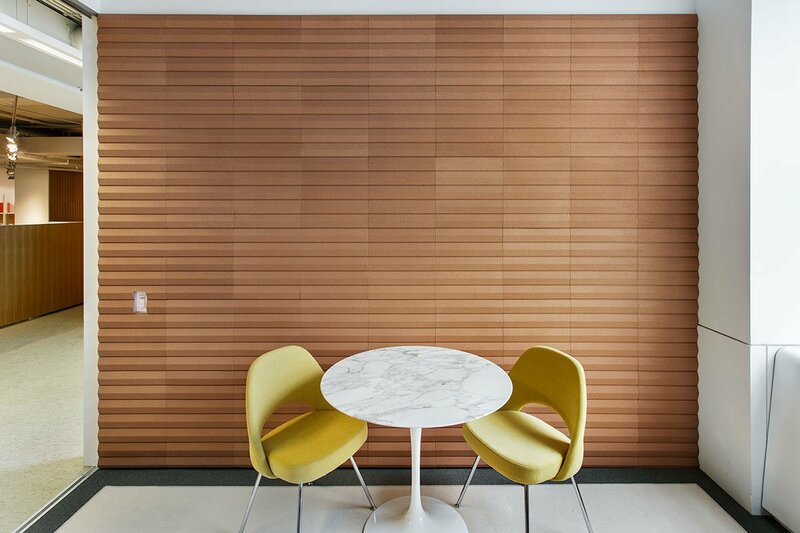 Available in 36 qualities and 945 colorways, the modular planks assemble to create standard patterns and yield a continuous architectural finish that evokes movement and is quietly animated by light and shadow. ARO Plank 1 is featured in the showroom in Hand Tipped, an elegant full grain leather with a hand-applied two-tone effect achieved with a dark overtone on the tip of the pebble grain. Architecture Research Office (ARO) is the New York City firm led by Stephen Cassell, Kim Yao, and Adam Yarinsky. Founded in 1993, ARO has earned a reputation for elegant, innovative and imaginative architecture born out of relentless exploration and engagement. Architecture Research Office received the 2011 Cooper-Hewitt National Design Award for Architecture, and the American Academy of Arts and Letters honored the firm with their 2010 Academy Award for Architecture. The firm’s work has been exhibited widely and is in the permanent collections of the Museum of Modern Art, the Art Institute of Chicago and the Cooper-Hewitt, National Design Museum.